Helen Brooke might be best described as an adventurer: she has lived a full and varied life, approached great change with pragmatism and practicality and always just “got on with it”. Helen has lived parts of her life in Deloraine, Hobart, Port Macquarie, King Island, Legana and Newstead, with her adventures all taking place in a different backdrop. It is perhaps, then, no surprise that only one of her children and stepchildren lives in Tasmania. They are spread across the continent from Perth, Port Macquarie, Brisbane, Cairns, Mackay and now Penguin, where her son has recently retired. “They are sprinkled around a bit,” Helen says. Helen is stoical and practical, qualities that she possibly developed as a farmer’s wife for 20 years on a small island. When asked about her background, she says that she wasn’t very interesting, and then proceeds to share fascinating stories about her time on King Island. She took her young family to the remote island to work a farm and loved her time there. She didn’t feel isolated, she said. But this may be due to the fact that, once her children had established themselves, Helen and her husband (a pilot as well as farmer) would take their own plane to destinations across Australia. So when you have lived and flown all over Australia, how do you choose where to spend your retirement years? 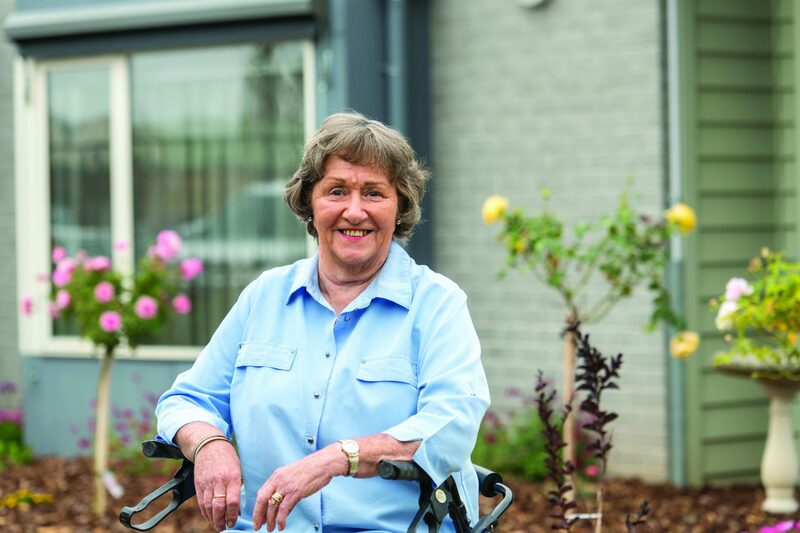 When Helen was diagnosed with a health condition that would lead to issues with mobility and vision, her surgeon told her to start to look for a retirement home she wanted to go to, before she had to leave her home. Helen tried a few places using their respite care program and decided that she really liked the feel of Peace Haven. She came to stay around 14 months ago. Adjusting wasn’t necessarily easy but Helen is pragmatic as always. “I really enjoy being here. I think the staff are tremendous and they make it as homely as they can. Helen still has many close friends, having reconnected with school friends when she moved from Legana to Newstead 20 years ago. Coming to Peace Haven has meant she is still able to see her friends very regularly, and the parking and access for her more elderly friends is very easy. “We go out for lunch, or they come and visit. I really enjoy being here. I think the staff are tremendous and they make it as homely as they can.